If you like smoked chicken thighs, (and who doesn't), I know you'll love this recipe. Seasoned with a tasty mix of herbs, these smoked thighs are very, very good. Place the thighs in the gas grill, and cook at 225 to 250 degrees. After one hour, turn and rearrange the thighs, and add the other package of wood. 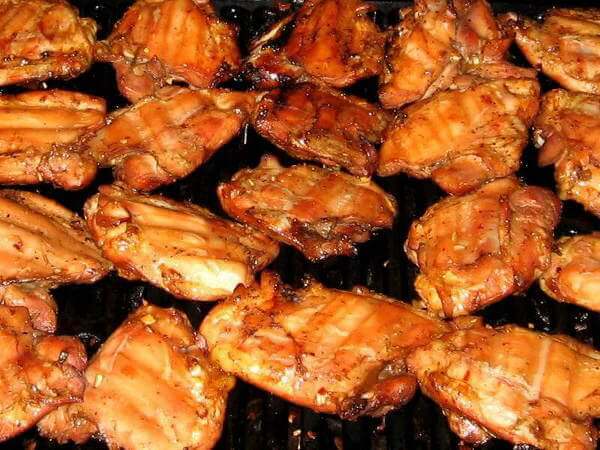 Check the temperature of the thighs after two hours…thighs are done at 175-180 degrees. Continue gas grill smoking until the thighs are done. It will take from two to three hours, depending on the grill temperature, weather conditions, and size of the thighs. If you want to be really decadent, brush a little melted butter on the smoky chicken thighs right before serving! I think you'll like it!